THPBlog: Sierra Pacific Industries to log out beautiful red fir trees near the home of California’s only wolverine. 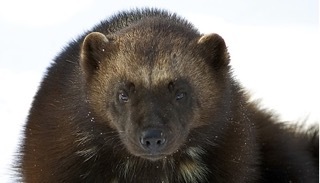 Sierra Pacific Industries to log out beautiful red fir trees near the home of California’s only wolverine. This THP is about 9 miles NW of Donner Summit on I-80 near the Pacific Crest Trail (section 1) at an elevation of 6,880 to 8,120 feet. Sierra Pacific Industries is planning a mostly sanitation salvage (targeting larger red fir and white fir trees) tractor logging operation in lodgepole pine, Jeffrey pine, white fir, red fir, white pine and mountain hemlock forests. These are nice high elevation stands of less common beautiful red fir (section 1 has large diameter red fir trees), white pine and western hemlock trees amongst wet meadows (section 31) and aspen/willow groves. The THP area is between the Pacific Crest Trail and Webber Lake which are popular hiking, camping, fishing and backpacking areas. 24 road drainage sites are planned for work including rocking, dip construction, ditch cleaning and culvert repair/replacement, and SPI wants to use an existing skid trail inside a class II (mid sized) watercourse. California’s only existing WOLVERINE has been spotted here (section 7). Pacific fisher was reported in sections 19, 21, 25, 28 and 29, American marten was reported in sections 21, 25, and 31, and there are historic Sierra Nevada Red Fox sightings in sections 2 and 28. A bald eagle was reported in section 28, a willow flycatcher was reported in section 33, and greater sandhill cranes were reported in section 28. Wire mousetail was reported in section 28, and Donner pass buckwheat was reported in sections 7 and 31. There are 2 CA spotted owl nesting territories within 1.3 miles of the THP area.